Dead Naked Hippies - Rare. 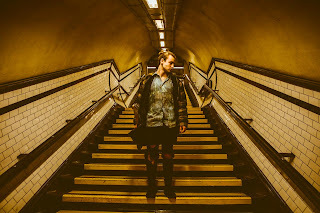 Background - Self taught musician, Tom Auton will be releasing his highly anticipated EP Big Little Glass Bowl on September 14th. “I spent months hitting my head against the wall. How on earth do you build a colossal fanbase overnight?! Then I realised; it’s useless being a ‘small fish in a big pond’, I need to be a ‘BIG fish in a SMALL pond’. I’m wasting time splashing about, trying to be heard from every single person on the planet, It’s my hometown I need to pour myself back into. A crowd draws a crowd. It’s this new mindset that inspired me to plunge back into Cardiﬀ, put on my first headline show which subsequently sold out at 150 capacity. Big Little Glass Bowl is for not only my pond, but all the other musicians who are trying to be a small fish.” - Tom Auton. Foxhole - After The Walk. 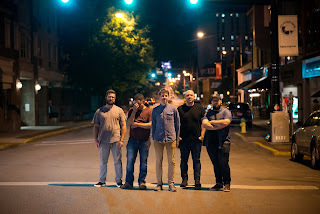 Background - “After the Walk” is the soaring second single that Foxhole is sharing ahead of the release of Well Kept Thing, the post-rock band’s first new album since 2006’s Push/Pull EP. Written under one of the live oaks that pepper Austin, TX, album opener “After the Walk” (which was mixed by the Grammy-winner Stephen Roessner and mastered by Bob Weston from Shellac) is an attempt to bring joy and elation to post-rock, a genre not exactly known for its bright side. A close listen reveals coins dropping to the floor as the song empties out, as well as a misplaced chuckle in a guitar mic at the break. It’s a celebration of friendship — the sort of excitement that comes not from swelling cymbals and cinematic guitars, but from being in the same room as old friends, who remember parts of you that you’d nearly forgotten. Mars Motel - Green (The Eclipse Sessions - Live). 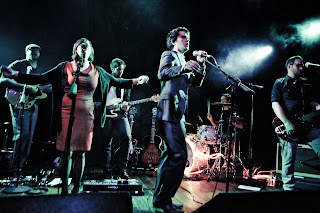 Background - Mars Motel is a dream-rock band from Brooklyn, NY presenting an explosive and immersive sound which originates from melodic elements of 1990’s Brit-Pop as well as the raw, driving rhythms of the early 2000’s NYC rock scene. After a couple of successful singles being released in the last two years since Mars Motel was formed, including “Green” and “Living in the Moment”, The Eclipse Sessions live EP was released in late July of this year. Martin Van Ruin - Current Day (album). Background - Current Day is the follow-up release to Martin Van Ruin’s critically-acclaimed debut, Every Man a King. A collective project from some familiar Chicago faces (members of Derek Nelson & The Musicians, Jenny Dragon, Planetsexploder). 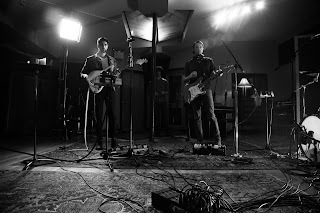 Also for American Songwriter to say that “fans looking for Chicago’s next Wilco may want to check out Martin Van Ruin,” and for the Chicago Sun-Times to write that “The Bob Dylan and Neil Young comparisons are inescapable for this new folk rock supergroup.” Current Day was recorded over a series of sessions in 2017 at the Music Garage in Chicago and was engineered by Mike Lust (Tight Phantomz). Schmieds Puls - Don't Love Me Like That. 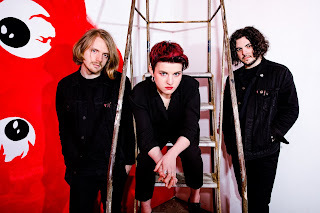 Background - Schmieds Puls have released new single ‘Don’t Love Me Like That’ taken from upcoming album Manic Acid Love. 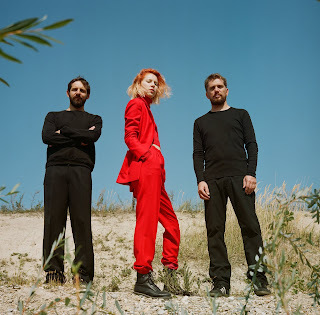 Fronted by Mira Lu Kovacs, Christian Grobauer (drums) and Walter Singer (bass) – Schmieds Puls are an Austrian outfit who have been making waves in their home territory for some time. Spanning genres, refusing to be pigeonholed and being politically outspoken, particularly regarding Mira’s feminism has cemented them as one of the countries most interesting outputs, earning them prestigious accolades such as the Amadeus Austrian Music Award. New album Manic Acid Love is a triptych leading us through the spectrum of human emotion, the eleven tracks taking us through unconditional devotion (Manic), the deep vulnerability and pain this dedication precipitates (Acid) and the human power to overcome these hurdles and find peace (Love).